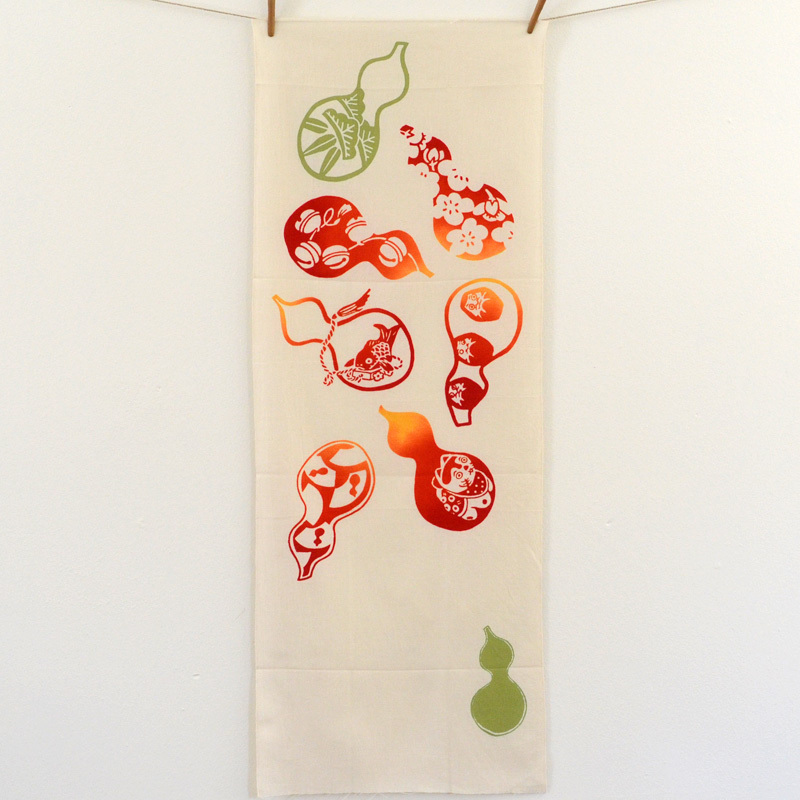 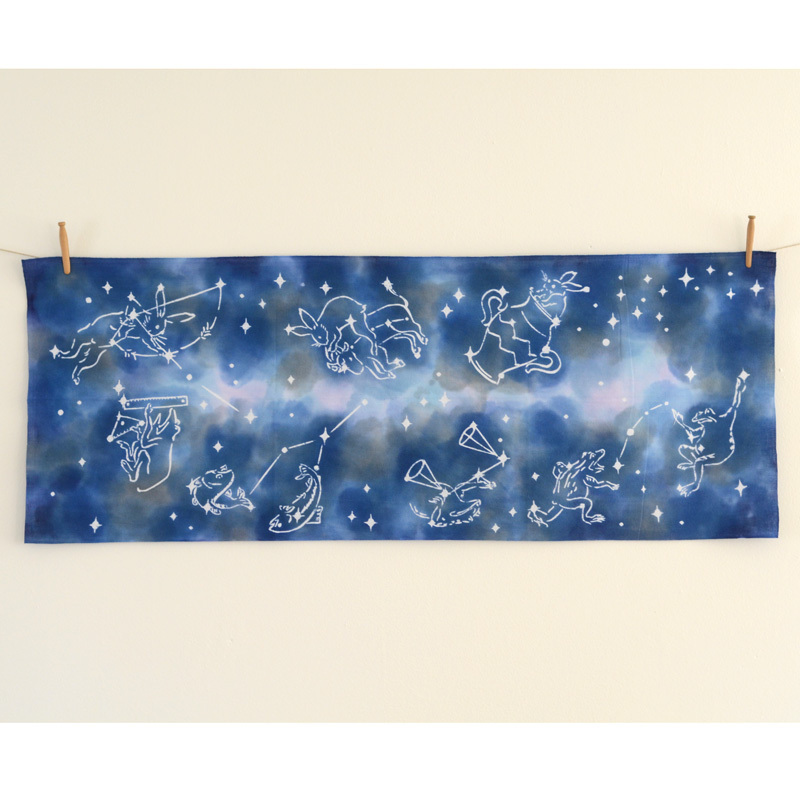 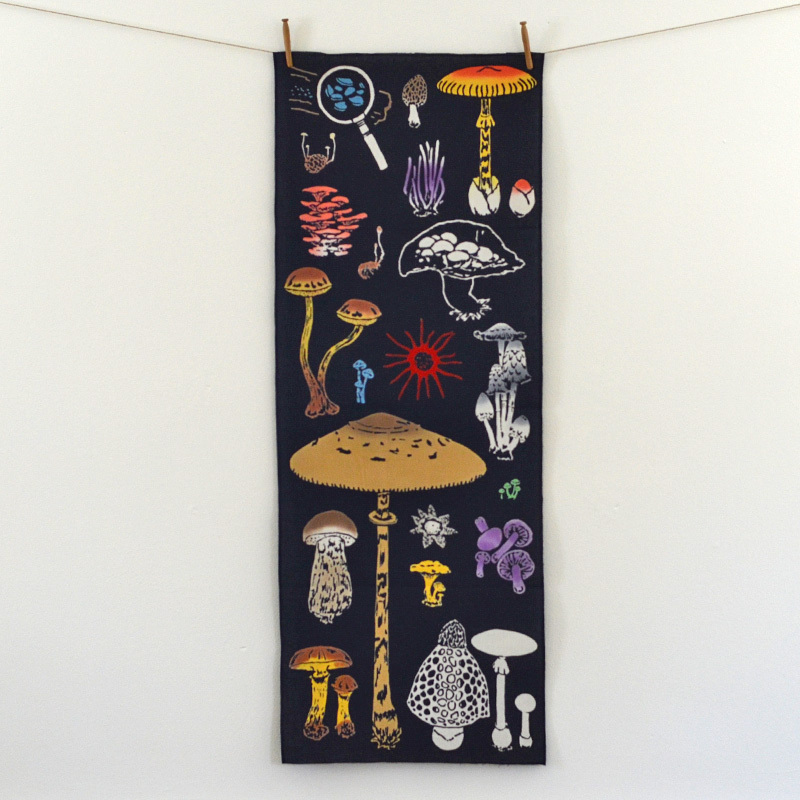 If you want all of the symbols of good luck in one place, this tenugui is for you. 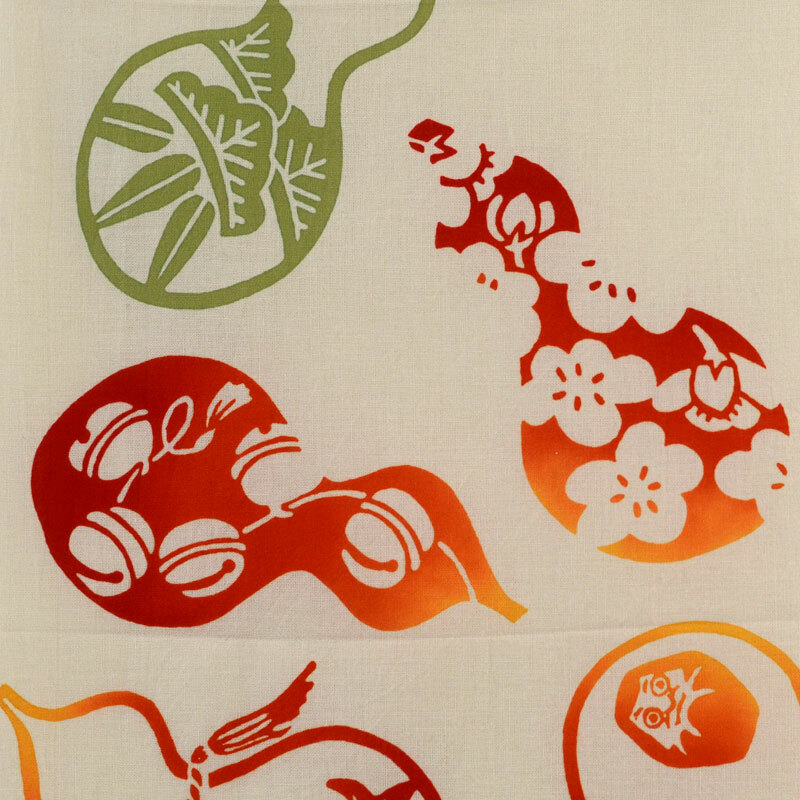 Pine, bamboo and plum are classic symbols of auspiciousness. 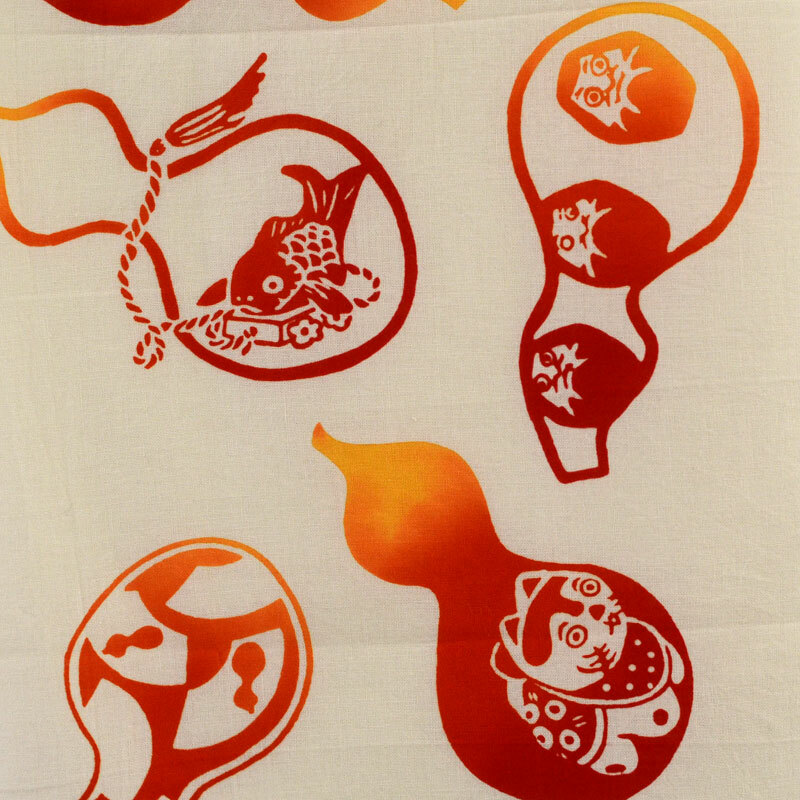 Tai or sea bream and gourds also bring good luck and protection. 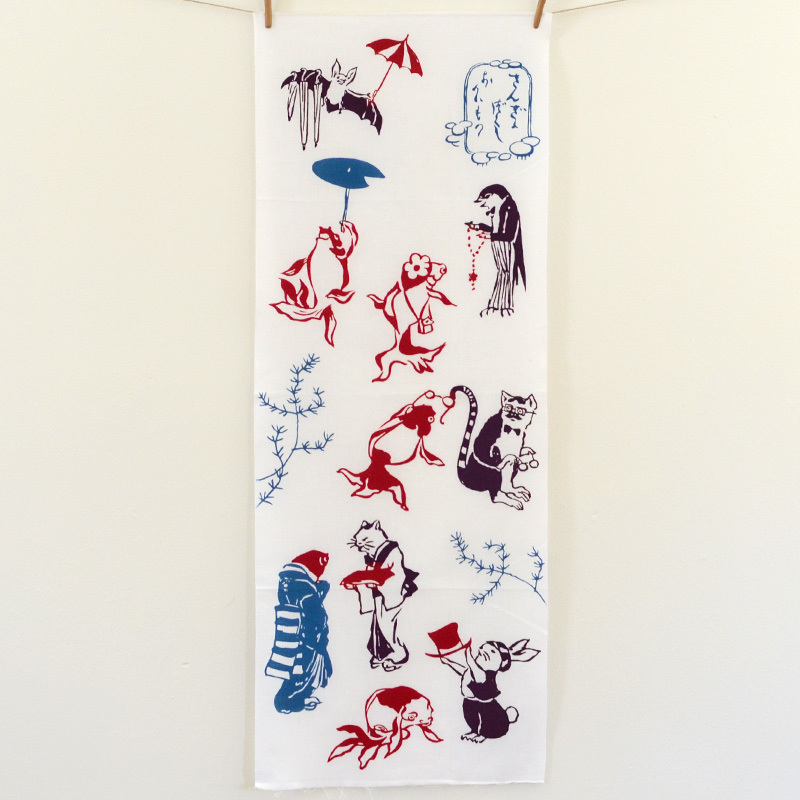 The paper dog doll is a guardian of children and is said to ensure a smooth childbirth. 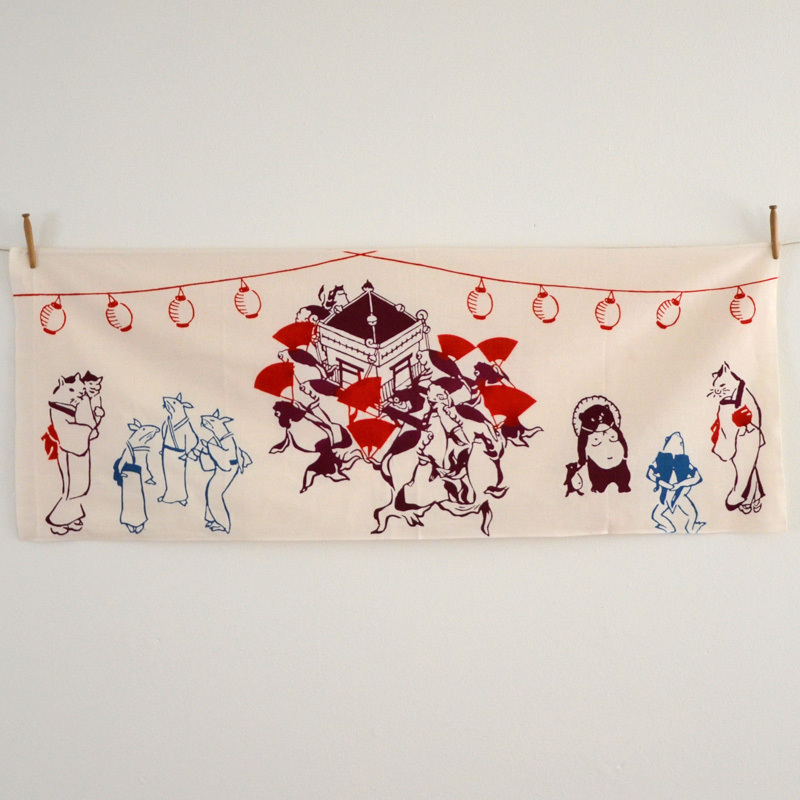 The daruma doll will always get up after a fall and thus, is a symbol of perseverance.